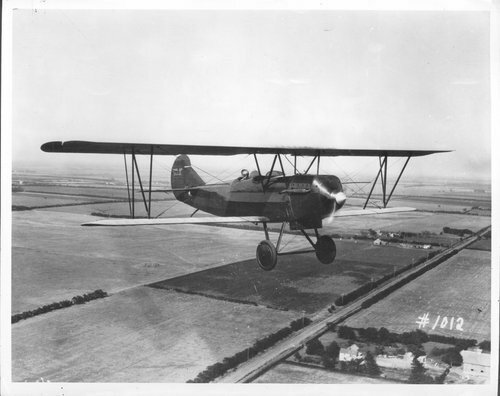 A photograph showing a Travel Air OX-5 with a 90 horse power Curtis Wright engine. The photograph was probably taken near Wichita, Kansas. Air Travel eventually became Beech.